Looking for a job and securing a job both require not only the effort from your side but also a chance and certain level of recognition that are given by another person/party. As a result, you need to activate both of the feng shui career corner and benefactor corner. 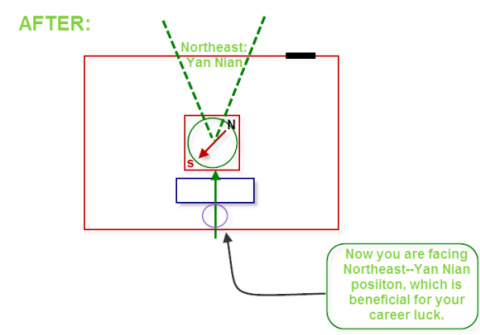 Represented by the most positive energy of the trigram Qian, the northwest corner of a house/ working place is generally recognized as the career corner. Governed by future lucky star #1, the north region possesses the potential improve your networking and highlight your social image. These two feng shui career areas are essential for you to initiate a success and growth feng shui career. 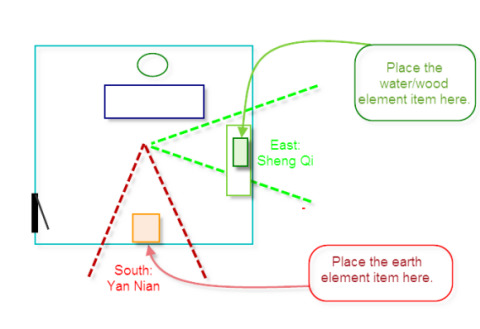 Nonetheless, the advanced Feng Shui practice requires precise measurement and detailed energy calculation according to that very specific location and person. For those who would seek for more potent and effective solution, they can consult a Feng Shui Master. Avoid having your office or desk located at the end of a straight corridor or walkway. Do not sit with your back to the door, nor to other open space, such as hallway and French window, for the absence of the supportive energy would make you more vulnerable of being attacked. Avoid sitting in a desk or place which subjects you to being hit by the cutting edge of a protruding corner. If, unfortunately, your office is designed to be that way or you are in a condition that is limited to rearranging your table, you can place a room divider in your back, or at least, use a chair with high back to prevent you from office politics. You can also place some high and solid Feng Shui figurines on the left hand side of your table or office to strengthen your career luck. Avoid cactus plants inside the house or your office regardless of how cute they are. Prickly cactus plants create poisonous energy that causes misfortune, illness and disharmony. Check the region in where the yearly flying star #3 locates for Star #3 is notorious for bringing out quarrelsome energy. Has Star #3 been aggravated by any recent incident? For example, someone placed some water plant lately. The water element and wood element stimulate the negative wood energy of Star #3. Some discords occur consequently. To balance the Star #3 corner, you can eliminate the vicious wood energy by placing auspicious Ksitigarbha Fireball in that region. You can activate the yearly action star #6 and energize Qian Gua in the northwest by placing 6 Big Metal Emperor Smooth Coins in those regions. Feng Shui Career Success: How to Make a Smooth Transition in a New Job? Position your table and make sure it has a solid back wall or at least, a room divider that can prevent your back from being exposed all the time when you are working. Make sure you are facing the entrance. 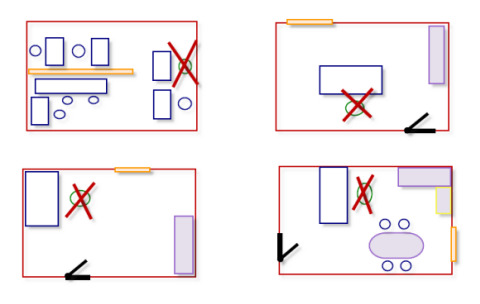 Place your desk in line with the door will cause unnecessary confrontation especially when the entrance is directly in your back. 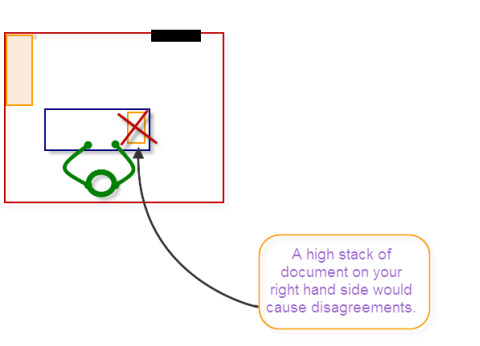 Avoid placing a high stack of document on your right hand side. Right hand side in Feng Shui is recognized as the side of Tiger which is responsible for discords in life. A high stack of document in your right side symbolizes that the Tiger raises its head, which indicates disagreements and arguments. To ensure your workplace is charged with supportive and friendly energy, you can appeal to the favorable Chi of auspicious flying Star #1. Recognized as a future providential star with emphasis on networking, Star #1 is extremely beneficial for those who are trying to get used to a new and strange working environment. To boost the energy of Star #1, you can display the Arowana Statue in its annual corresponding spot. If your job requires team work, you should make also increase your working skills and cooperative spirit by placing a supportive Feng Shui Figure, such as Dragon Tortoise on your left hand side. 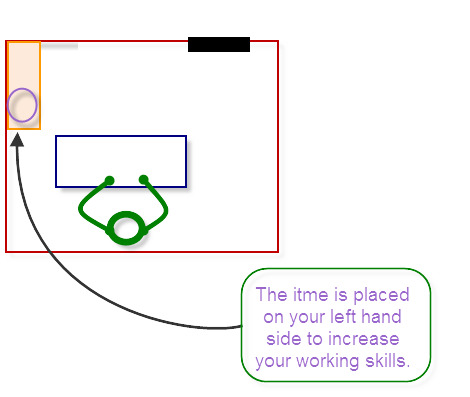 Having the work space synchronize with your personal energy would place you in a more advantageous position. Here are some professional tips to help you create a harmonious, supportive and inspiring work place. Activate your personal auspicious positions based on your Gua number. 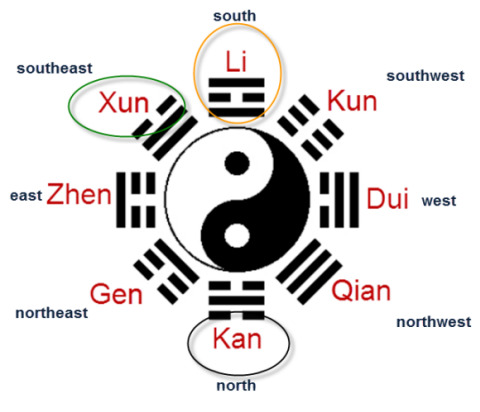 According to your Gua number, define your own Sheng Qi position and Yan Nian position, which are both favorable for attracting beneficial mentors, improving career fortune and leading you to promotion. 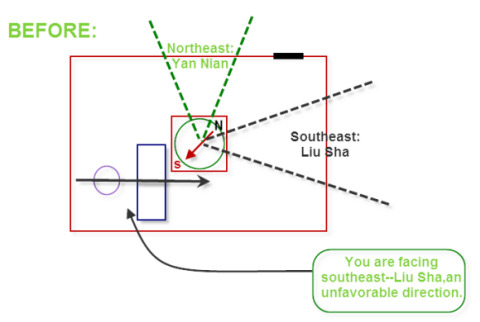 If your Gua number is one, you can place Aventurine Tree in the south region and Green Dragon Statue item in the southeast region of your workplace. If your Gua number is two, you can place Yellow Topaz Crystal in the northwest region and Red Crystal in the northeast region of your workplace. If your Gua number is three, you can place Blue Water Dragon in the southeast region and Green Dragon Turtle in the south region of your workplace. If your Gua number is four, you can hang Bluewater in Globe Keychain in the east region and Arowana Fish in the north region of your workplace. If your Gua number is six, you can place Clear Quartz in the southwest region and Feng Shui Amulet in the west region of your workplace. If your Gua number is seven, you can place Citrine Tree in the northeast region and Double Fishes in the northwest region of your workplace. 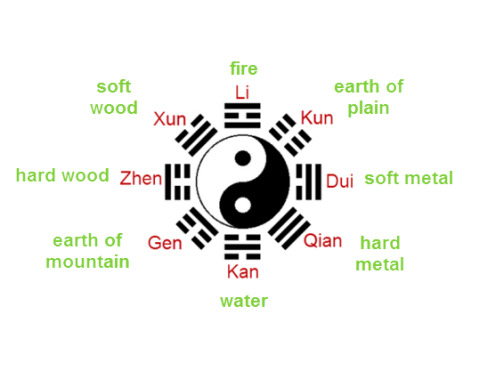 If your Gua number is eight, you can place Heaven and Earth Amulet in the west region and Magic Fire Wheel in the southwest region of your workplace. If your Gua number is nine, you can place Golden Garlic in the north region and Green Dragon in the east region of your workplace. How to Gain Recognition for Your Work? How to Get Inspired and Work Creatively with the aid of Feng Shui Career? Creativity is not only a term for artist; instead, it supposed to be an important quality of our life - the quality that would help us to overcome daily obstacles and advance the excellence of our life. In Feng Shui, there are three places in Ba Gua that are beneficial for amplify the creative spirit of your both your work and your life. Xun Gua, the southeast region, and Kan Gua, the north region, create an auspicious combination of creative energy. While Li Gua, the south region, is the place to channel this inner energy into practical performance and public acknowledgment. Kan Gua, the element of water, the abyss of human subconsciousness, is pregnant with all undeveloped mental power and collective wisdom; While Xun Gua, the soft wood element, possesses the vine-like flexibility and ever-climbing spirit of human intelligence. These two Guas, along with the Li Gua the element of fire, contribute the essential progression from inner thought to outer performance, which manifest through the transformational process from water to wood, and to fire. 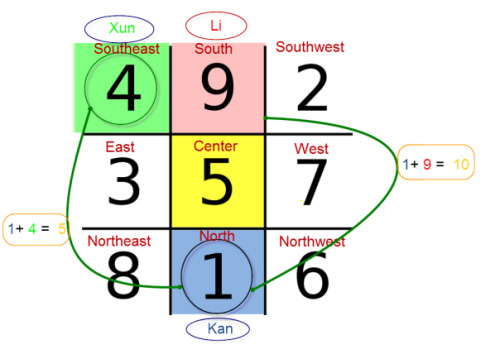 In advanced Feng Shui practice, one, the late heaven number of Kan Gua, four, the late heaven number of Xun Gua, and nine, the late heaven number of Li Gua form a specific relationship that allows them together to develop a powerful cyclic energy. One plus four equals five, and one plus nine equals ten. 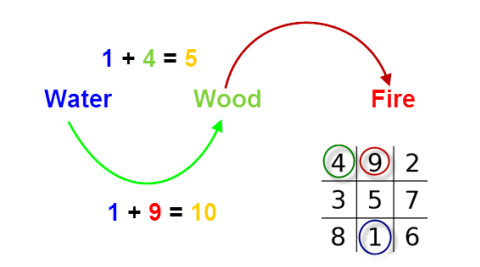 Both five and ten belong to the same earth element and consequently makes these two combos stronger than sums of other random numbers. This special combination of numbers strengthens the binding energy of these three and has them flow within your personal energy field. This type of circulating chi is not only beneficial for inspiration and creative spirit, but also for self-cultivation and self-development.